In honor of its 70th anniversary year in 2017, Best Western® Hotels & Resorts engaged in a celebratory campaign called “Smilebration,” designed to engage and activate customers, loyalty members, hotel owners and employees. As part of Smilebration, Ideas Collide and Best Western launched “Spin for Smiles,” a digital spin-to-win game that sought to encourage weekly interactions with the brand via an interactive gaming experience. The game targeted U.S. and Canadian audiences and offered the chance to win prizes within the Best Western Rewards® loyalty program. "Resulted in more than 8,000 new BWR enrollments during the campaign." Ideas Collide developed the Spin for Smiles game to reward BWR members for their loyalty during the Smilebration campaign. 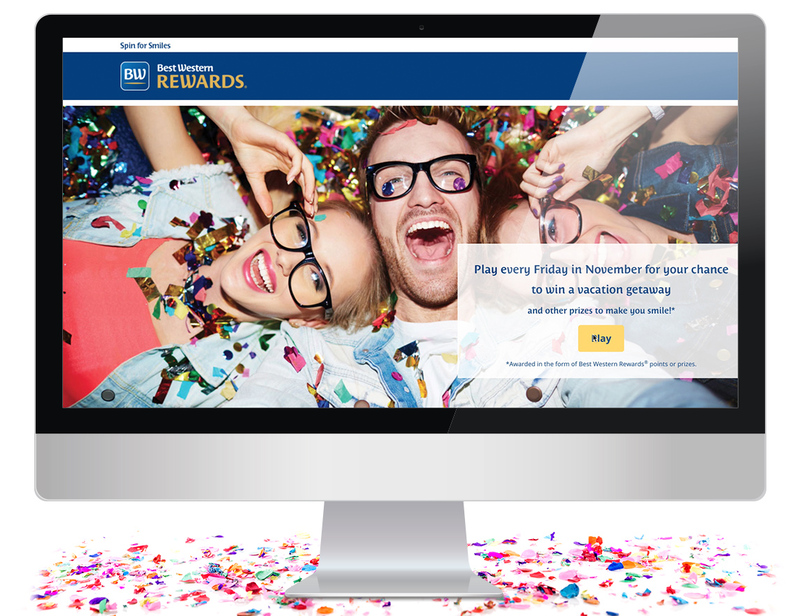 The idea was to encourage playful, yet meaningful, brand interactions with current and potential Best Western customers on an ongoing basis via an integrated campaign, which incorporated gaming, digital, social media and email components. 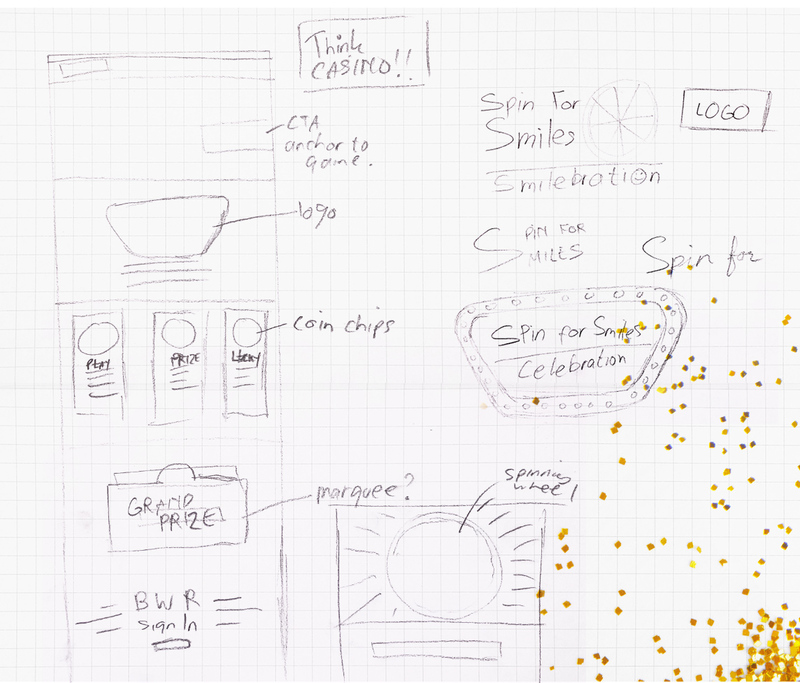 The highly-visual, interactive campaign directed users to a casino-themed landing page complete with an animated prize wheel that users could virtually spin for the chance to win BWR-themed prizes. Prizes included BWR membership tier upgrades and points, free night vouchers and Best Western gift cards, which were selected to drive future bookings and interactions upon redemption. With four possible days of gameplay during the promotion, Ideas Collide and Best Western cultivated anticipation and social conversation with a sense of urgency. By minimizing spins and game days, Spin for Smiles tapped into a “fear of missing out” that led to substantial engagement numbers in a short period of time. Players were required to enter their BWR identification or enroll in BWR in order to play the game, which resulted in more than 8,000 new BWR enrollments during the campaign. To generate campaign awareness, Best Western and Ideas Collide leveraged social media and email to engage existing loyalty members, customers and brand followers. Using customized creative components, social media and email messages directed users to the dynamic Spin for Smiles microsite to spin for a chance to win. Once a user engaged with the game, Best Western continued actions by encouraging them to share their spin results on social media for additional gameplay opportunities. In addition, players who stayed at Best Western hotels during the promotional period were rewarded with an extra spin for every night. Inspired by the overwhelmingly positive response to the game on social media, Best Western incorporated the most engaging comments into social media and in-game testimonials.